Bath Situation: There are a number of bathhouses throughout the campground loops. Some are just sinks, toilets and basic showers and others are newer facilities with actual shower rooms and dishwashing sinks. You can see the newer baths from the satellite pics. The showers at the newer baths are pretty good. There is an illusion that you can control the temperature of the shower- let’s be clear. If you like cold or lukewarm, you can control things. If you want anything actually hot, you are out of luck. Dishwashing: There are dishwashing sinks at the newer bathhouses. There are water faucets along the camp roads, but they are not meant for dishwashing. Store: Can buy firewood at the gate, there is no real store at the camp. There is a store near the camp entrance that looks like it caters to the campers. Power/water: No electric, water in various areas. Telephone/Wifi: There is no WIFI and cellular connectivity is very spotty- both ATT and Verizon look like they have connectivity in some places around the camp, but it doesn’t really work. There is some limited amount of ATT cell service near the beach on the North Lake side. There is some limited amount of Verizon service near the gate. Amenities: The camp is built around the north shore of North Lake, which is on the south side of North Mountain. 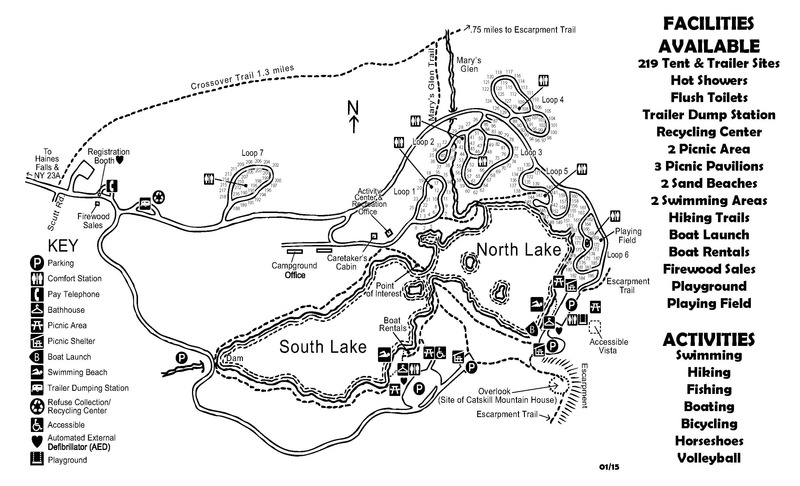 North Lake and South Lake are on top of a connection between North and South Mountains. So essentially, you are camping on top of the mountain. South Lake uses the same entrance gate, but allows day use only. The two lakes were connected at some point and you can kayak between them. There is both great hiking and kayaking directly from this camp. Sites: The sites are widely varied and some are fantastic and others not so much. Some are very close to others or too close to the main park road or boggy or not very deep or just too open. Others are surrounded by deciduous trees and others by evergreens. Some have great spacing and privacy and beautiful rocks around them. Weird: This place is great but seems to have a lot of families with pretty free range kids who ride their bikes in circles on the hills around the camp loops. We also saw kids walking dogs too big for them to manage and kids who would just wander into your camp after playing amongst the rocks. Camper Types: The folks who camp here seem to be a mix of hikers, fishers and families. It looks like the type of place where the tent campers might outnumber the RVs pretty easily. This is so helpful, thank you so much! 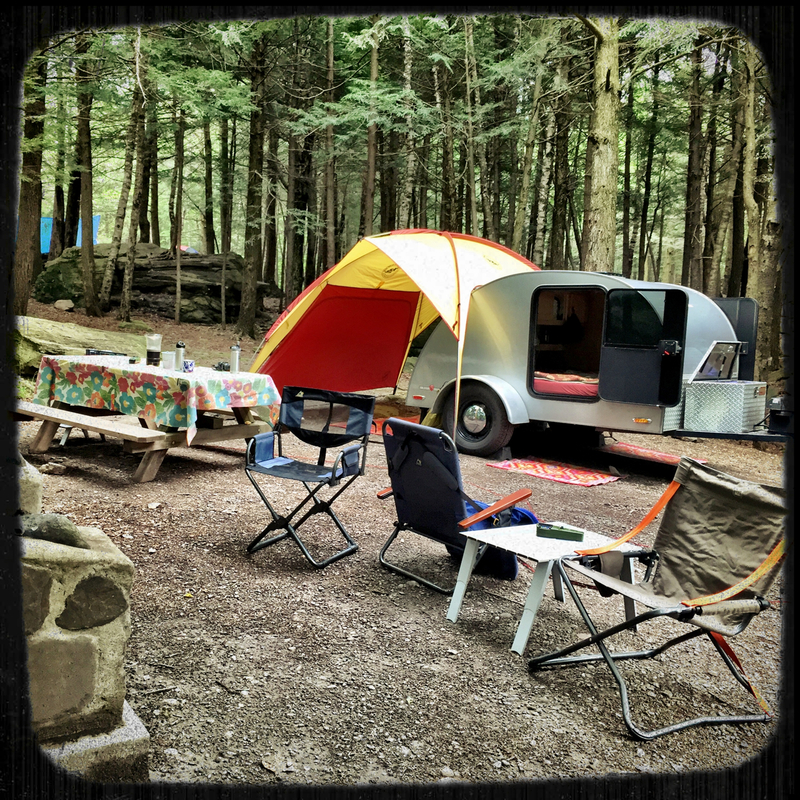 I am new to the area — and have been trying to get into the state campsites. It’s really hard to know what the sites are like without a thorough review like yours… so thank you!